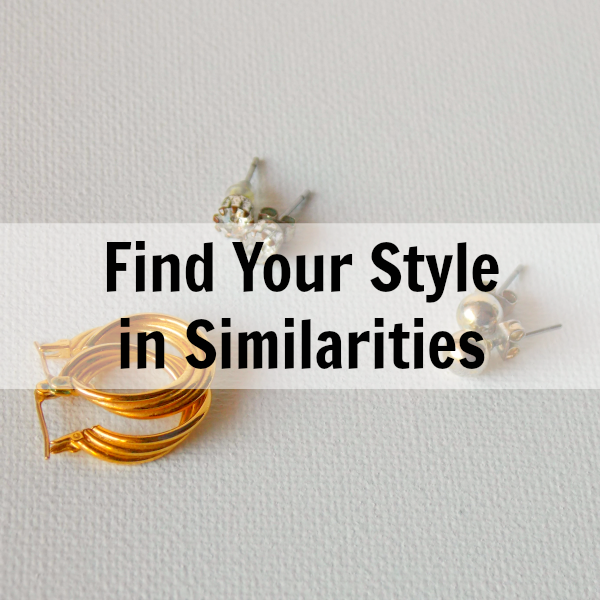 Your style is hidden in the similarities of your wardrobe. Often, because we love certain styles, our wardrobe reflects that. It may be a certain brand, or a type of fabric or a certain dress style that you gravitate to. But whatever it is, you will be able to recognize your style by the similarities in your closet. You may not have even been aware of buying similar items but now you can uncover that secret style. Your wardrobe has a theme running through it that may not, at first glance, be obvious. You probably aren't wearing the same thing everyday but the things you return to, have a similar thread. Look at your top favorite 20 pieces in your wardrobe. What is alike about them? Do they have the same colors? Are they similar styles? Do they usually have the same fabric? Maybe it's jeans, or maybe it's a color you love wearing or perhaps it's the cut of your clothes that you return to. Those similarities are your style. You love something about that common thread and it's important to pay attention to that. Maybe growing up by the ocean, you love seaside colors. Or if you're fighting your way up the career ladder, maybe all your pieces give off a business vibe. Maybe you're a new mom who's always on the ground or running after crawling babies and your wardrobe is durable. Whatever your similarities are, take note of them and place an importance on them in selecting and whittling your wardrobe. These similarities are super important because they have a connection for you of something valuable in your life. Be proud of the things that make you, you. Create a wardrobe with these values in it and you will be much happier with your outfits. You will wear clothes longer and feel more vital in them.